We modern Americans.... think of "war" as a distinct and separate sphere, one that shouldn't intrude into the everyday world of offices shopping malls, schools, and soccer games, and we relegate war to the military, a distinct social institution that we simultaneously lionize and ignore. 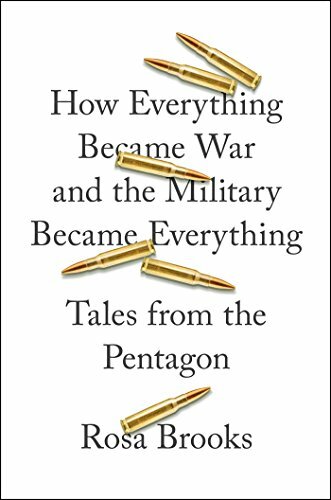 For the most part, we prefer to believe that both war and the military can be kept in tidy little boxes: war, we like to think, is an easily recognizable exception to the normal state of affairs, and the military an institution that can be easily, if tautologically, defined by its specialized, war-related functions. Regardless, trying to jam war back into its old box rests on a faulty assumption about the world we live in. Messy forms of conflict have always been a part of human reality, and most likely always will be. Until we accept this, the post-9/11 erosion of human rights is likely to continue. Paradoxical as it may seem, the best route to upholding human rights and the rule of law lies in accepting that some degree of global violence, conflict, and coercion is likely to remain the norm, not the exception. The best route to upholding human rights and the rule of law lies in recognizing that war and peace are not binary opposites, but lie along a continuum.